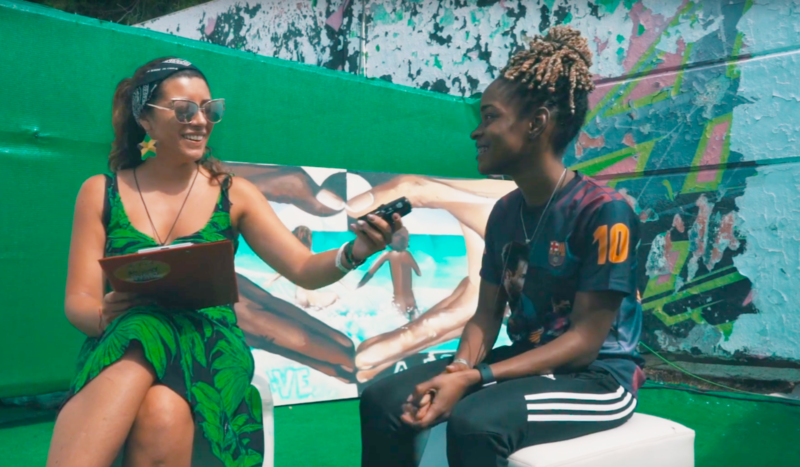 Gege Vibes Team meets the young jamaican singer Koffee during the 25th edition of Rototom Sunsplash 2018 in Spain before of her performance with Cocoa Tea on the main stage of the Festival. Koffee is only 18 years old but she is an aware artist already with a really conscious mentality and she is able to inspire the new generations as well. Koffee says her main musical inspirations are firstly Chronixx and Protoje (she performed together with them last November in London, UK for the event BBC Introducing at Tobacco Docks and the day after at the prestigious venue Alexandra Palace for a sold out show of ten thousands people), but even artists like Agent Sasco Buju Banton, Sizzla and many more. Her last single “Toast”, from upcoming Rapture Ep out on every platform from last month, got very good feedbacks in the worldwide musical panorama. “Gratitude is a must”, Koffee tells in the lyric of this song. She is actually considered a rising reggae star and definitely the revelation of last and this year.